WHAT a year 2018 has been for British boxing. World champions, dramatic fights and new heroes emerged in a fascinating 12 months. The two standout stars of the year for me have to be Tyson Fury and Josh Warrington – for different reasons. Fury’s comeback from contemplating suicide to taking on WBC heavyweight champion Deontay Wilder is not only one of the great boxing tales of the year but also an unbelievable sporting story. This is a man who was 27st amid mental health problems and who never looked like he could get in the ring again. But I believed in him and Fury rediscovered his belief in himself. He shed the weight, he beat his demons and anybody with an ounce of boxing knowledge knows he should be WBC heavyweight champion now. The way in which he rose from the canvas in the 12th round in Los Angeles almost told the story of his year. Down and seemingly out against Wilder, he somehow picked himself up to get back to doing what he does best – outboxing the very best. Now in 2019 he should get the chance to win the belt that should be his before a showdown with WBA, IBF, IBO and WBO champion Anthony Joshua. 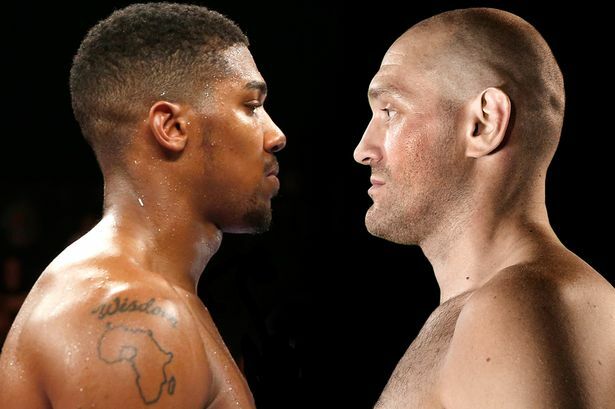 Joshua’s promoter [Eddie Hearn] can say what he likes about talking to Fury but he is under contract with me and I know they don’t want the fight. But the British boxing public will hopefully put the pressure on soon to make sure it happens. That followed his stunning win over Lee Selby to become IBF champion in May at Elland Road. Warrington has emerged as one of the best featherweights in the world this year and he will reach even bigger heights in 2019. British boxing will continue to boom over the next 12 months and we will continue to deliver the biggest and best fights.